This year I have have been so thrilled to have been able to work with Katy Pery. First, we had the opportunity to sing with her on the song “Pendulum” from her recent album Witness, which debuted to rave reviews. She did some really fun things to promote this one. We surprised her with an impromptu serenade at her amazing Los Angeles studio and sang with her on a fan appreciation live stream for her YouTube channel just after. She’s a such a gracious person and a wonderful person to work with. Getting a chance to sing for the Mr. Harry Styles was a treat. 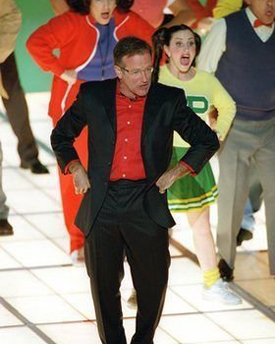 He showed us all the chivalry of a true English gentleman. When one of our singers was feeling under the weather, Harry rushed out to bring him water and take care of him personally. What a great guy! He also credited us singers directly prior to the albums official release. How’s that for being gracious! His much anticipated solo album releases later this month and his first single, Sign of the times is out now. This session was a very special one indeed. For the first time both me and my girls had a session on the same day at Capitol Records. We were all hired to sing vocals for Italian artist Laura Pausini. What an exceptional day. 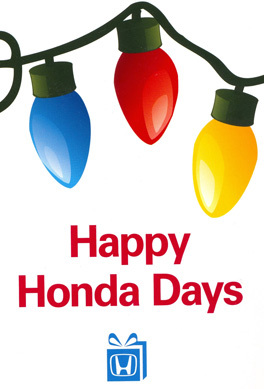 There’s nothing like Christmas in July! Recently got to record with FUN frontman Nate Ruess on his latest project using the old choir boy pipes. Amazing producer, Jeff Bhasker, who’s received Grammy Awards for Jay-Z’s “Run This Town”, “All of the Lights” by Kanye West, and “We Are Young” by Fun, gave great direction to us singers. It’s always an incredible experience watching the incomparable vocal contractor, Edie Lehmann Boddicker translate the vision to all the singers. The acoustics in the room at Village Recorders really gave this session a reverent feel. 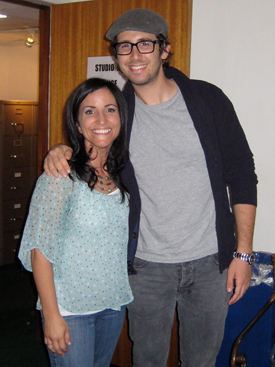 This years Josh Groban sessions were great. As always Josh is great with his singers, he even called all the musicians into the booth to give one of the tracks a quick listen, all 60 of us. Josh even brought his beautiful dog Sweeny! Singing the female background vocals on “Foil” was fun and hilarious. 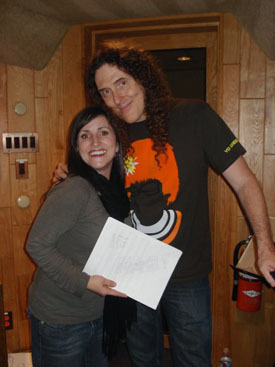 There is never a dull moment recording with Weird Al. So please to be working with him again! In true Neil Young style, we recorded background vocals with a full live orchestra, what a rare treat. Just like how they did it back in the day! We recorded each song about three or four times. For the first song rather than use a click track, we simply all watched the conductor and just felt the groove. It was an amazing session at Capitol Records yesterday with David Foster. Initially I didn’t know what the session would be for, so I was extremely happy and excited when I found out that it was for Mary J. Blige and Stevie Wonder, for each of their newest projects!! Pictured top right, David Foster holds out his cell phone so Stevie Wonder can sing us our parts. Stevie is redoing all his greatest hits and I cannot wait to hear his final product…. Fast songs are slow, slow songs are fast, meters to songs are changed, polyrhythms are going on, the strings are amazing, the arrangements are incredible! Mary J. Blige is doing a Christmas album and the parts the choir sang just gave me chills when listening back.. This incredible session was definitely one of the highlights of my career. I am so humbled full of gratitude for this incredible experience! Yesterday’s second session gave me just enough time to finish at Capitol, then head down the block to sing back up for actress Emmy Rossum (You’ve seen her in the theatrical release of Phantom) at her CD release party. We sang on two numbers that evening, but my favorite one was the Andrew Sisters tune “Apple blossom Time”. I just can’t get enough of those tight harmonies. She really is an amazing vocalist and so easy to blend with. Really hope this takes off for her… she’s amazing.